Fall is coming folks, which means it’s time to shake it up and add a touch of warmth to our bathrooms. This means adding some yellows, reds and browns to your bathroom and making it feel nice and cozy. We can also play around with scents a lot more during fall because it’s the norm to smell spices and sweets in the air, allowing us to add a couple of our favorite warm scents to the bathroom. Not only that, but fall also includes some fun and mouth-watering holidays: Halloween and Thanksgiving. Our bathroom has to celebrate these holidays as well so it’s a great opportunity to add some fun pumpkins or bats to your bathroom décor. To help get your imagination going, we’ve created a list of five unique fall decorating tips for your bathroom. We hope we inspire you and get you in the fall mood! One the best ways to bring fall into your bathroom is to bring nature in. Fall is one of the most beautiful seasons around because of its effect on nature. Grab some leaves or pinecones from around your garden or neighborhood and put them in your bathroom! It’s a classic way to add fall in and will let you take in the beauty of the season. 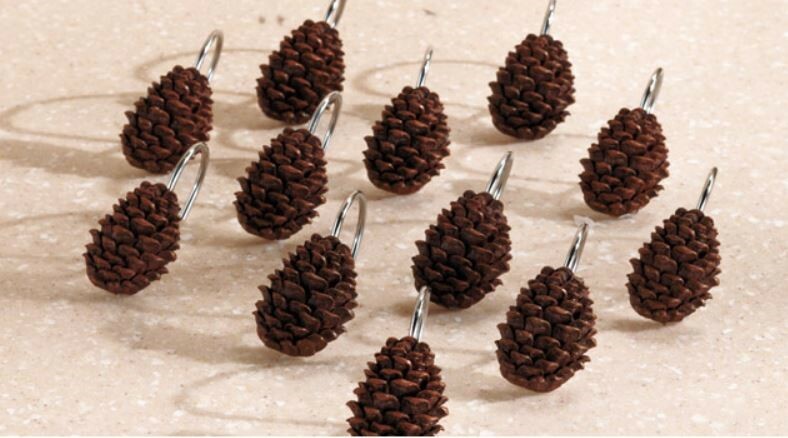 You can also buy some nature-themed accessories. You know them by names like “Autumn in the Park,” “Brandy Pear Tart,” “Cranberry Twist” and more. Fall candles are some of the best things of the year because they capture that perfect moment and take you back to when you smelled fresh fallen leaves in the park or fresh cranberries. Candles are a classy way to spice up your bathroom. 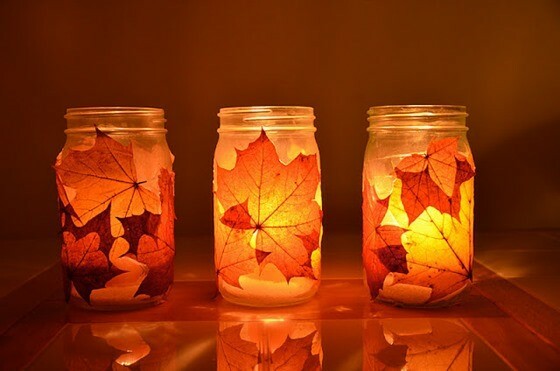 You can even decorate your candles or create a nice little display! Fall isn’t all about trees and leaves, it’s also about Halloween! 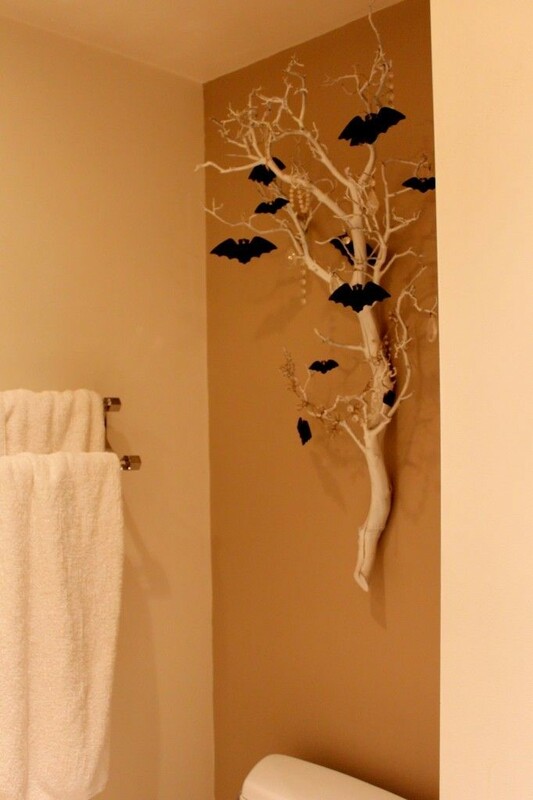 For Halloween, make your bathroom a little spooky or colorful. You can anything from decorating your soap bottles with witches and ghosts to adding some bats to your bathroom! Don’t be afraid to give someone a little spook and add a skull or two around there (just in case you like tricks better than treats). Since we talked about Halloween, we can’t leave out Thanksgiving. Lucky for us, both Halloween and Thanksgiving have something in common: a love of pumpkins. 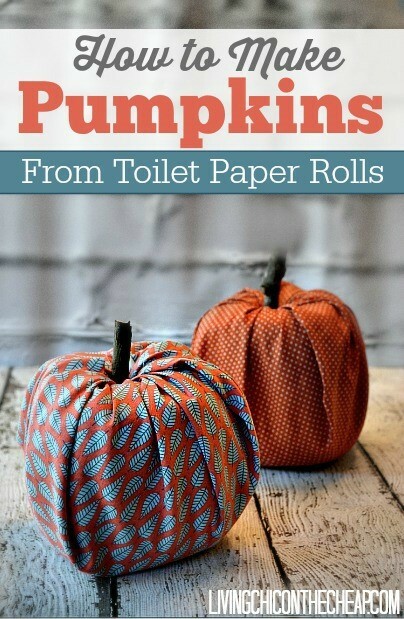 Put some decorative pumpkins around your bathroom to give it a festive and fun feeling. In case you’re feeling brave, you can even make your own pumpkins. If you’re looking for a place to put these pumpkins, they’d look great on any of our bathroom vanities. For our last suggestion, no one ever said you couldn’t put wreaths in your bathroom. And why not? Wreaths symbolize fall and add a touch of warmth to any space. You can make a wreath out of just about anything. 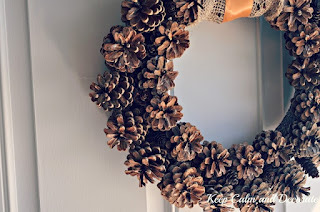 One idea is using the pinecones you gathered from around the neighborhood and putting them on your wreath. Get the tutorial here. At the end of the day, the most important thing about decorating your bathroom for fall is just taking the season in and making the most of it. We want you all to have a glorious fall and we think decorating your bathroom will put you in a good mood and make you smile. 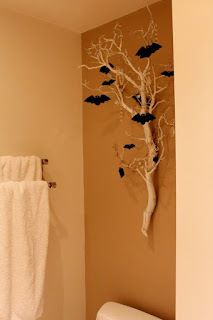 Have a favorite fall bathroom decorating idea you didn’t see here? Let us know in the comments below!